There are plenty of loose slots to be found online in 2019. For me this makes it all the more surprizing that most players miss out, and play the tighter ones. Of course the main reason is lack of knowledge as to which slots are loose and which ones are tight. It is not as if the casinos are going to tell you directly after all! This page shows you how to find loose slots, gives you examples from some of the main slot software houses covering both US and non-US players – and then goes on to explain how you can adjust your staking, bankroll and use of incentives like bonuses, comps and spins to make the loose slots looser still. The accepted benchmark in casinos is that a slot that returns more than 96% of bets to a player is put into the loose category. Conversely, a slot which returns less than 96% is considered tight. This is an old definition which comes from live casino slots, my view is that a truly loose one should pay a little more than 96% - I’m thinking in the 96.5% to 97% range. If you stick to slots with reasonably low variance that pay out well, then you have found an ideal game to use for playing through your bonus credits. Here are some examples of slots from some of the big software houses which fall into the loose and tight categories. For the non-US ones (MicroGaming, NetEnt, PlayTech) the clear best place to play them all is at the Unibet Casino where you’ll find more than 600 slots from all of the major software houses. Loose NetEnt Slots: In contrast, the biggest jackpot slot at Net Entertainment casinos – Mega Fortune – has a solid 96.4% RTP. 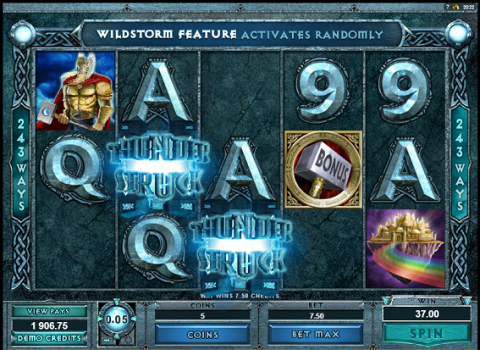 Other popular slots include Hall of Gods at 95.5% (on the low side for me) and Gonzo’s Quest at a more reasonable 96.1%. In general, it is hard to go too far wrong with NetEnt, most of their slots are in the 95%+ bracket. Good examples include Kings of Chicago at 97.8% and the new Tornado: Farm Escape at 97%. Loose PlayTech Slots: You have to be a lot more selective with PlayTech than with most other slot software houses. There are a lot of slots in the 91% to 93% range, which is horribly tight compared to their rivals. Even some flagship Marvel titles are in the ‘no-go’ zone, with the Hulk 50 line one to completely avoid… none of the Marvel slots makes it into the ‘loose’ category. Good options include Sinbad’s Golden Voyage (97.01%) and Neptune’s Kingdom at 97.19%. Monty Python’s Spamalot, which has a huge jackpot has a lower 93.99% RTP. 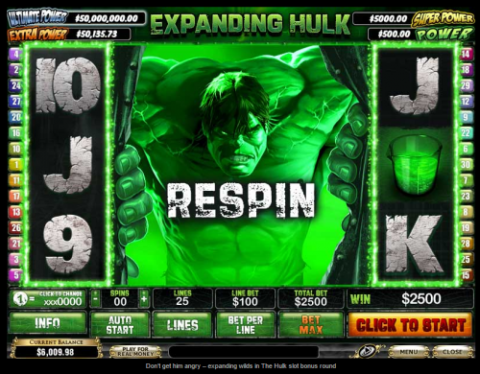 You can find MicroGaming, PlayTech and NetEnt Slots at the popular www.unibet.com. 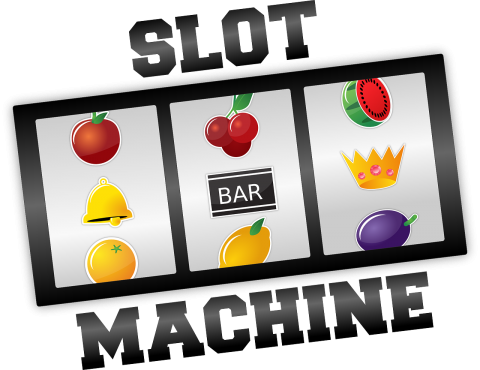 Loose RealTime Gaming Slots: The returns for RTG slots are adjustable by the casinos. These can range from 91% to 97% RTP, and you will not usually know what returns each casino is giving you. If you want to enjoy RealTime Gaming slots, it is vital that you do so at a big and well-known brand casino. Loose Rival Gaming Slots: There are some very loose slots in the Rival Gaming range, which include some of their flagship iSlots. Conversely, some titles are ridiculously tight – for example Eggstravaganza only manages 89.5% and 1 Million Reels BC 90.6%. The best option is the iSlot ‘Cosmic Quest 2’ which returns 97.89%, another good RTP on an iSlot is the second instalment of ‘As the Reels Turn’ which clocks in at 97%. 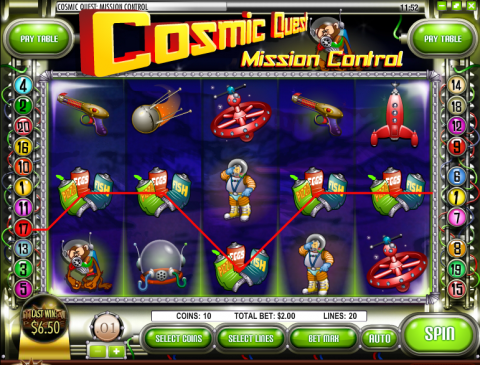 Loose BetSoft Slots: You’ll find very few bad slots in the BetSoft range, with the majority of titles either side of 96%. There are a couple of bad deals, Gold Diggers for example is 91.23%. Some of the most popular titles are loose, with Good Girl / Bad Girl, Greedy Goblins and At The Copa all above 97% RTP. The lists above are just a starting point. 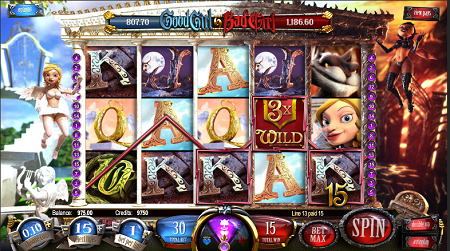 Once you figure what kind of slots to aim for, you will want to check how tight they are before you start playing. RTP stands for return to player, and is the percentage of stakes that will be paid out in prizes over the long term. There is one more thing you need to understand before going ahead – variance. A jackpot slot which pays out $1 million once a year may well have the same RTP over time as a simple game which pays out smaller wins quite often. From the individual’s perspective, the jackpot game is not loose at all – those occasional giant payouts skew the average, and most players will experience an RTP which is on the tight side. Think about the many games you have played. Most can be put into one of two categories – small frequent wins or larger wins that are less common. This is the variance of a game, the higher the variance the bigger the bankroll swings you will experience while playing. High variance slots can be the most enjoyable to play (that excitement of a big win makes a nice difference). This depends on exactly why you are playing. If you are playing to clear a bonus, or to relax with a nice long session then what you should aim for is a slot which is both loose and low variance. If you have the cash and want to aim for a big win without throwing your cash away into a ‘tight’ slot, then high variance games (including those with big jackpots) may be just what you are after. Now that you understand the role of variance when assessing the RTP of a slot, you can consider how your bankroll management and staking preferences work with this. The idea here is that the higher the variance of a slot, the bigger bankroll you will need to play it. With slots that pay bigger and less frequently, you will sometimes find yourself out of credits before you hit a big win. 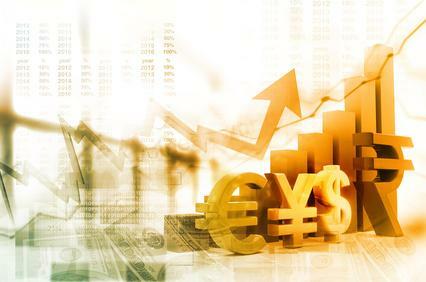 If you prefer the lower variance loose slots, then you should find yourself turning over your bankroll multiple times – and will not need so much cash to start with to enjoy a long gaming session. 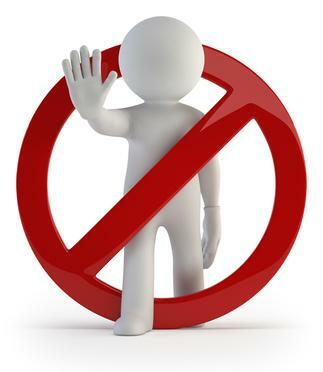 My rule of thumb is to bet less as a percentage of your entire bankroll the higher the inherent variance of a slot. Clues include TV / Movie tie-ins, big progressive jackpots and feature rounds with extra big prizes compared to the base game. How to Make Loose Slots Event Looser! You should also understand that by picking the slot with the higher RTP, adding bonuses and comp (loyalty) points, you can turn the edge in your favour (at least while you are clearing the bonus) . In this example you have reduced the house edge to a tiny 0.5% - there are rarely better opportunities than that available in online casinos. Where to Play Loose Slots in 2019? Here are my recommendations, the first is for readers outside of the US. For US players, skip to the second recommendation below. With more than 600 slots from all of the world’s biggest software houses available without needing a download, Unibet has become the go-to destination in Europe and beyond for huge numbers of slot fans. You can try out the games before you deposit, and will be extremely well looked after if you do join. 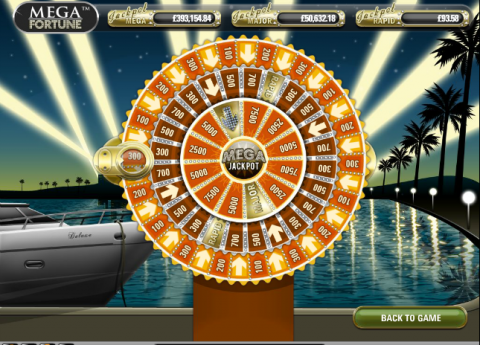 You can get 50 free spins on the biggest jackpot slot around (Mega Riches) + a 100% deposit bonus – you’ll also get to enjoy the biggest selection of loose slots in 2019 for any big brand. Check out www.unibet.com for yourself now! Bovada are the biggest and best of the offshore casinos welcoming US players. This brand used to be known as Bodog, before rebranding. Uniquely, you’ll find slots from 3 major software houses here with Rival Gaming, RTG and the amazing 3D titles from BetSoft all available. There are plenty of loose titles, and plenty of huge bonuses too – with a welcome package worth up to $3000 waiting for new players and top-rated promotions. Check out www.bovada.lv for more.